During a cycle ride round the local countryside recently we stopped to have a look round North Wootton Churchyard and were surprised to see two gravestones well speckled with ladybird pupae. I had never seen so many together before. 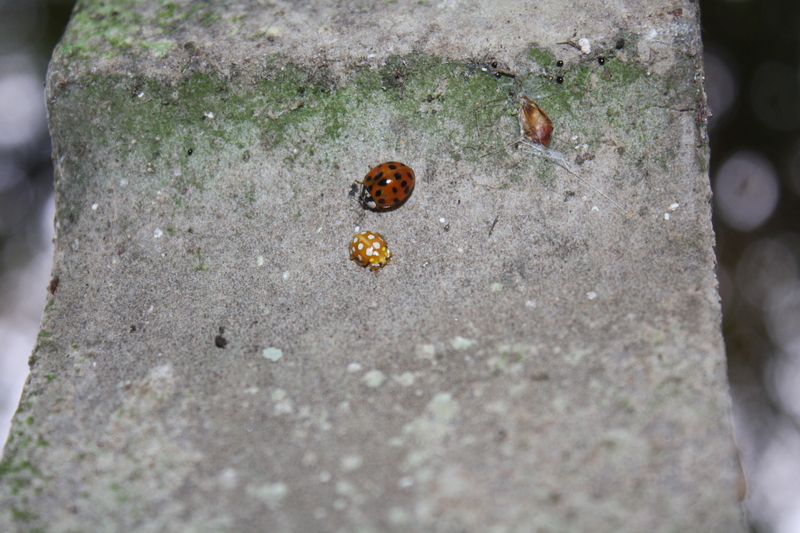 There were also some adult ladybirds crawling about on the stones and among the leaf litter below. I have never seen so many ladybird pupae together before. 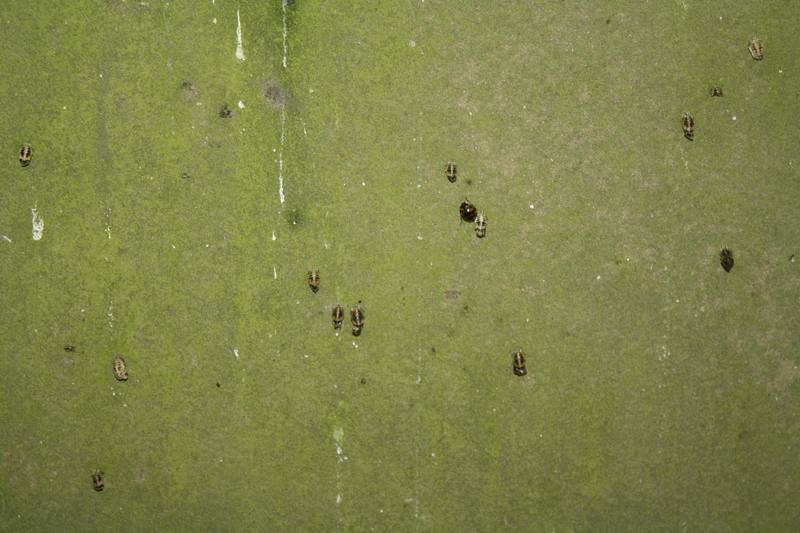 The scene got me wondering how many of these were harlequins – I think several may have been. Also, I wondered if one or two could be our native orange ladybirds – as can be seen from the pictures, there was a distinct size difference, which probably would be the case if the identifications were correct. The larger beetle could be a harlequin ladybird and the other an orange native ladybird. 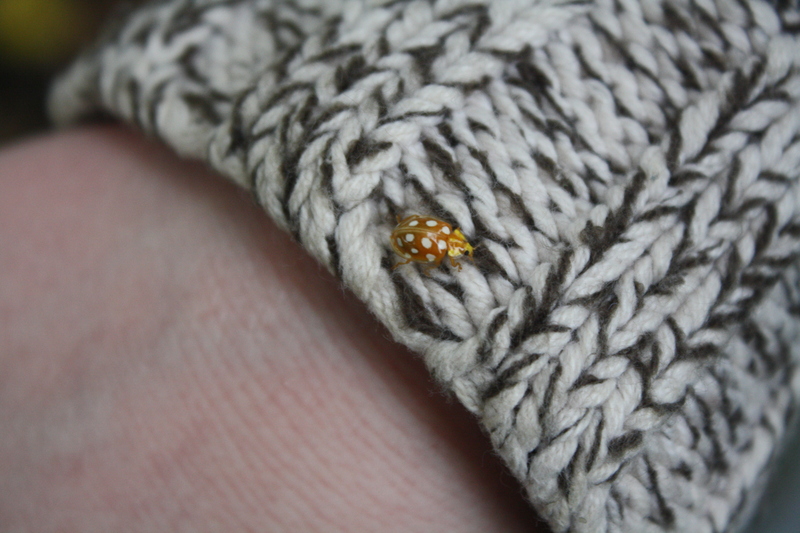 We took a closer look at the orange ladybird. On the outside of the church door was a black ladybird with red markings. Another, similar one, was crawling about on the interior of the glass section of the door. As this was the first week-end in November and with a distinct chill in the afternoon air, I thought it was rather late in the season to be finding pupae at all. 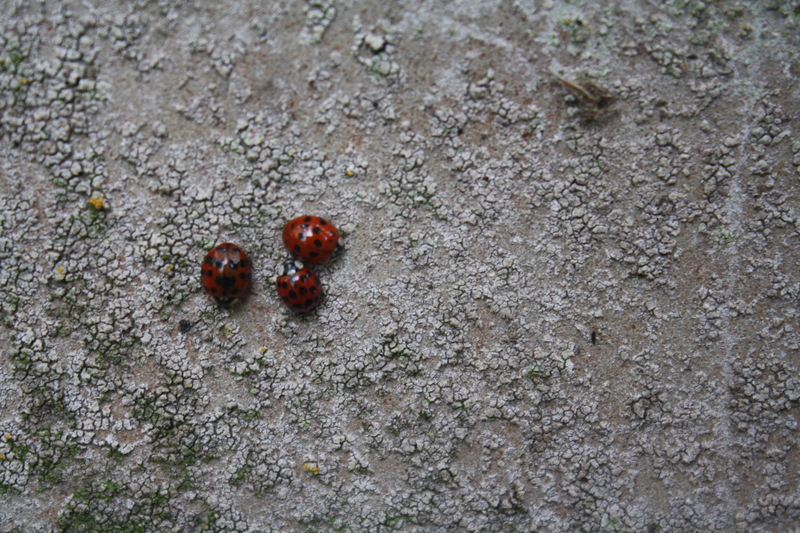 These are possibly harlequin ladybirds. Information about British ladybirds and the harlequin varieties is being collected by the UK Ladybird Survey and the Harlequin Ladybird Survey respectively. Sadly, I have seen very few seven-spots or any other British ladybirds this year. In fact, I have not seen that many ladybirds of any description! I know the native species at least, are certainly cyclical so I shall hope for better things next year. Also on this particular afternoon, the trees around the church seemed popular with rooks. 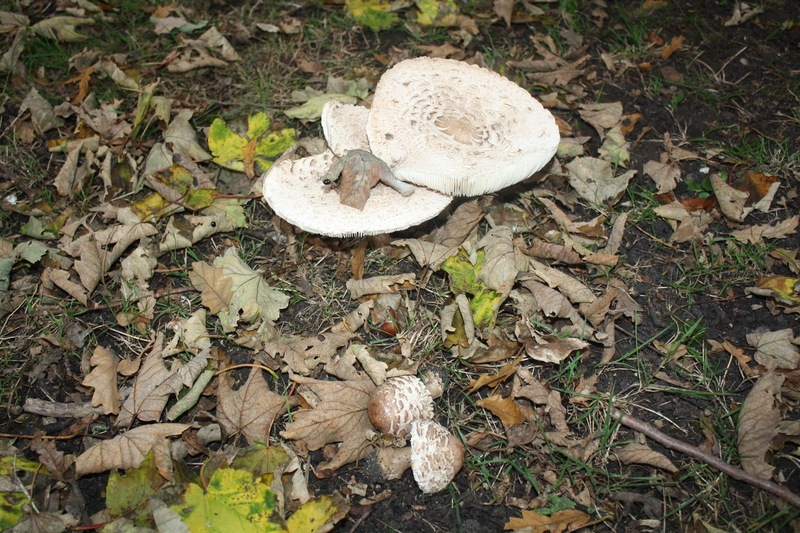 And we found some large fungi in the grass in the churchyard. Some of the large fungus we found.